Manchester United midfielder Paul Pogba believes the club's fans have every right to vent their anger after a first-half collapse saw the Red Devils beaten 3-2 by Brighton. Jose Mourinho's men are already three points adrift of Manchester City, Chelsea and Tottenham, who they face in their next Premier League fixture. "We always play for the shirt and the fans, this is not the result we or they wanted," Pogba told MUTV. "They should be very mad. We should be mad. Everybody is mad." 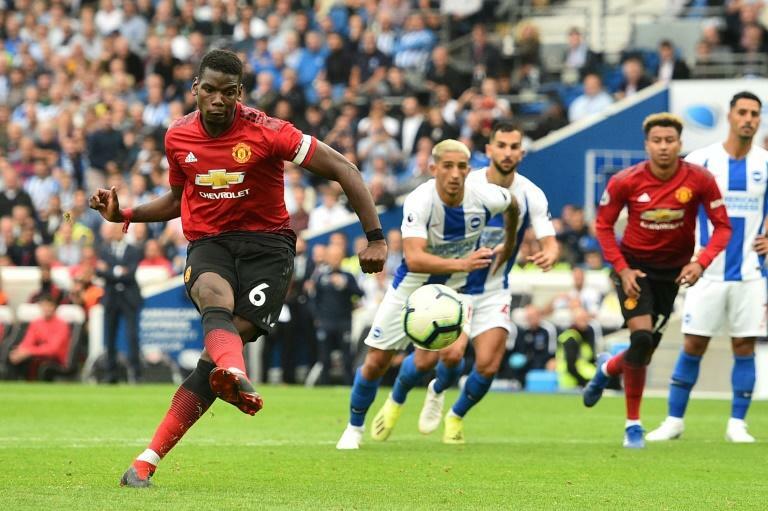 Pogba scored his second penalty of the season deep into stoppage time at the Amex, but by then it was too little, too late for the visitors as Mourinho's pre-season predictions of defensive problems were realised on a difficult afternoon for centre-backs Victor Lindelof and Eric Bailly. United were also beaten on their previous visit to Brighton in May and Pogba believes they failed to approach the game with the right attitude. "That's twice in a row we've lost against them here," said Pogba. "I think that shouldn't happen. Last year we had almost maybe the same attitude as today, and it's not right. "Myself first, should have done much better, less mistakes, control more the game. This was a bad performance for all of us. It's wrong we dropped points. "You have to wake up for the next game and definitely not play like we did today."